It is now officially Autumn in my eyes. I’m wearing fleecy PJ’s, wrapping myself in blankets and curling up under duvets when I get home from work at night. I’m waking for work before the Sun even thinks about making an appearance and I’m getting home just when it’s beginning to get dark. The world is a whole lot of grey right now. There are a few things that are happening in my life that are transitional right now for me – as my colleague has notified me at work – I am in limbo. Firstly, I have a new job which I am due to begin on 11th November. I’m currently serving my notice at my current workplace – so I’m in limbo there. I’m nervous about beginning something new (but also excited), and I’m really sad to leave my current colleagues as they just ‘get me’… they have a lot of knowledge, advice and experience (in life and work). I know I’ll miss their opinions and very well structured advice. A more trivial matter is that I’ll soon me changing my car from my black, boxy Hyundai i10. What to, I’m not sure. Idea’s please! 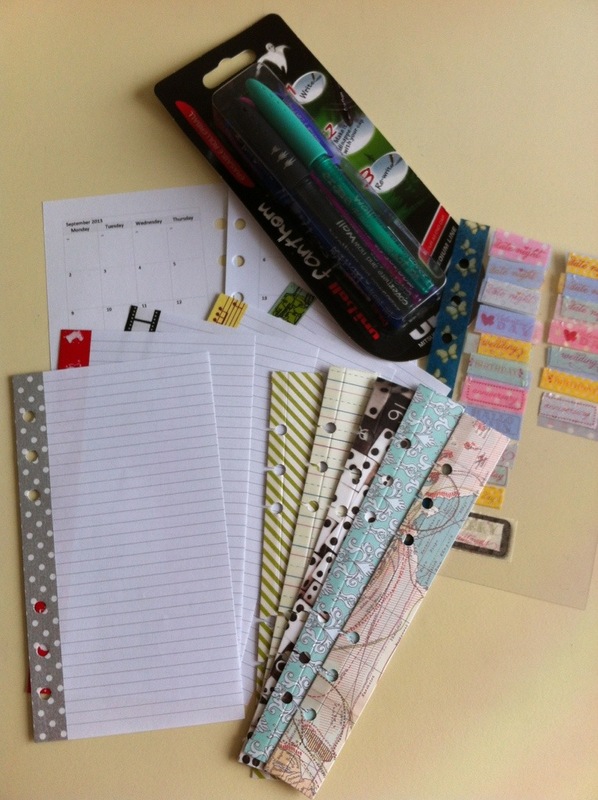 Because I can’t make up my mind and make a decision (c’mon, you’ve seen how I am with Filofaxes, inserts, dividers etc…! The CHOICES…!!! ), it makes me miserable therefore I feel in limbo until I have reached a decision or settled on a ‘goal’. Ultimately I’d love an old style silver Audi TT. Reality is I need something pretty newish, cheap to tax, insure and run… and something no larger than a medium hatchback. 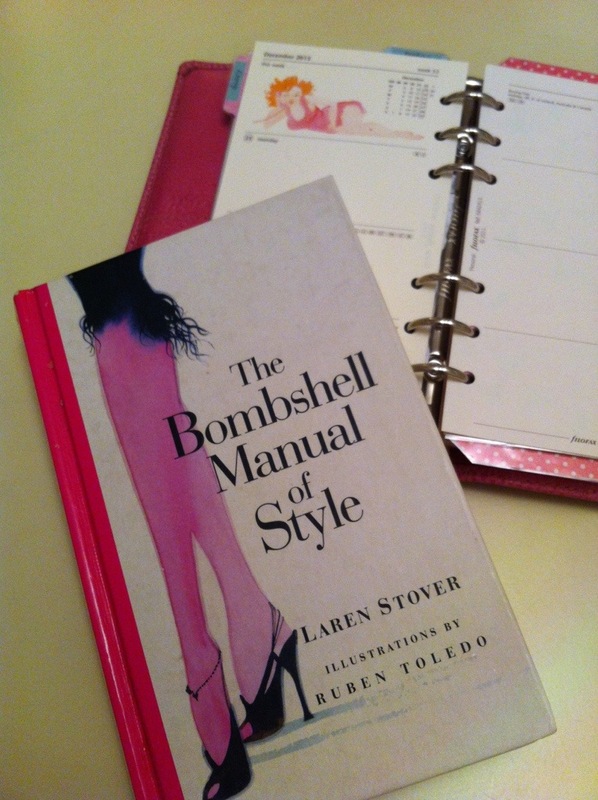 But I want something iconic, something with a bit of glamour to it. Maybe even a convertible. Ah, I don’t know. Another thing in limbo is my own transition. This one is the hardest to explain. Lately I don’t feel very ‘me’. You could say it’s the other factors in my life that are affecting me. You could say it’s the weather, my age, call it what you want. I don’t quite know where I am at, or what I want, or why I’m feeling this way, or how to stop feeling this way. Something just feels ‘off’, or ‘missing’. So I’m currently in limbo waiting for that lightbulb moment where I get that clarity spark and everything begins moving again. Until then, I had my lowest moment yesterday daytime so during my lunch hour I faltered and gave in to a deal on a Pink Personal Finsbury. 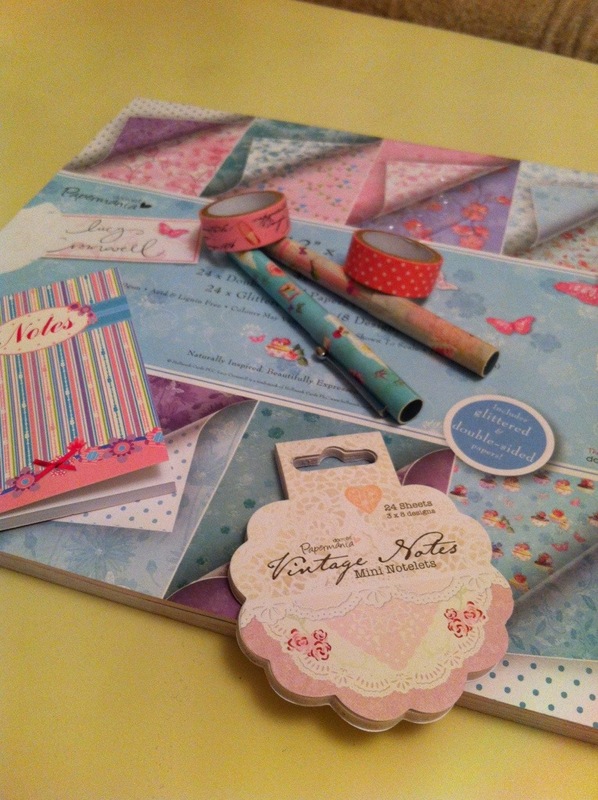 After I panicked, had a bit of buyers remorse and felt guilt like no other, I realised that my Halloween set of dividers won’t be co-ordinating with the fun pink Finsbury, so last night I darted over to my local craft shop to buy a new set of scrapbook papers. Naturally when I was faced with a lot of crafty bits and bobs I got carried away and purchased a few bits and bobs ready for my new addition. It’s all girly and vintage looking 😉 if you’re in the UK, you can purchase all of these from The Range. I’ve just been notified by Amazon that my Finsbury has arrived at my home (well, signed by my neighbour as I’m still here at work). Staring at the clock and willing 5.30 to arrive. Come on 90 minutes, do your magic! So exciting! I will have to do an unboxing post later on tonight now…! 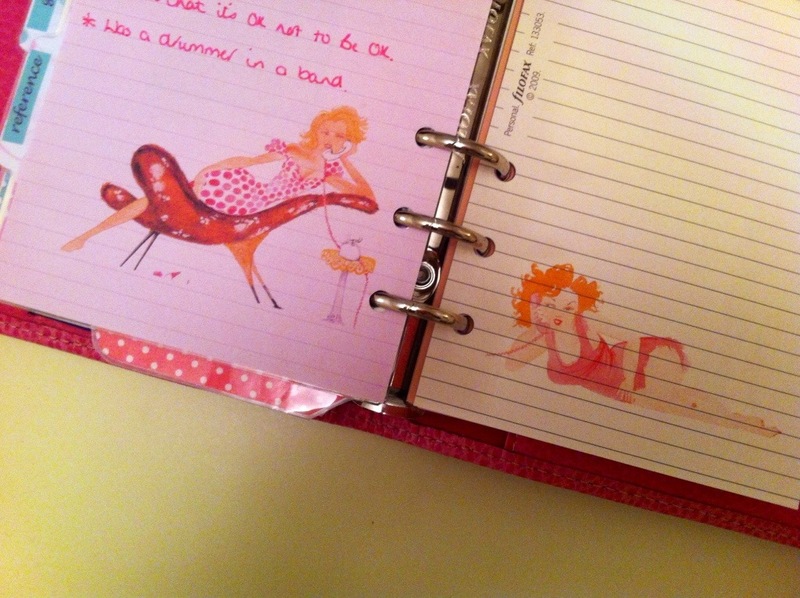 The inspiration for my Halloween Filofax dividers actually came from my Best Friend, Carrie. Or rather, my birthday present to her. Carrie is a rock girl to heart. She loves a bit of metal, so for my birthday present to her, I wanted it to be extremely personal and a full representation of how I see her through my eyes. The “gorjuss” range embodies her perfectly. 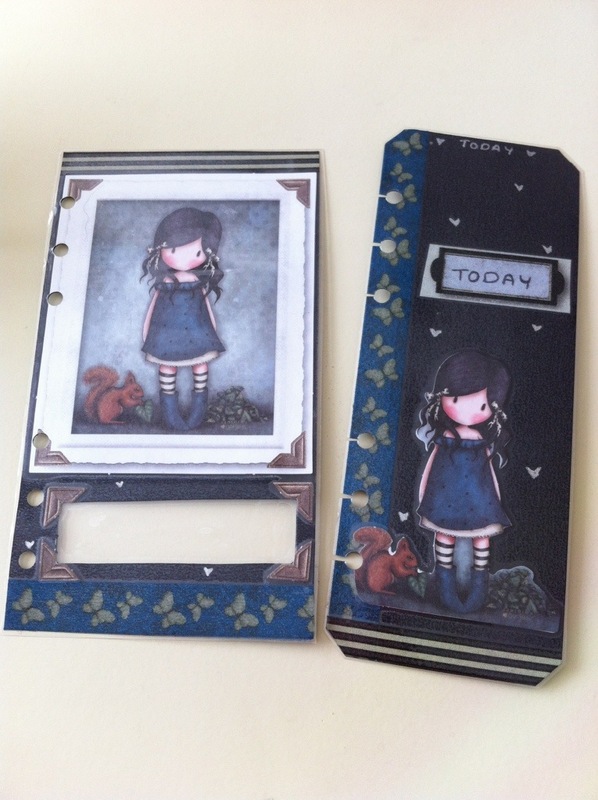 Carrie began using a Filofax about a year ago, beginning with my Lavender Pocket Metropol, upgrading to a Black Personal Identity and now she is in a beautiful Holborn which I lust after! 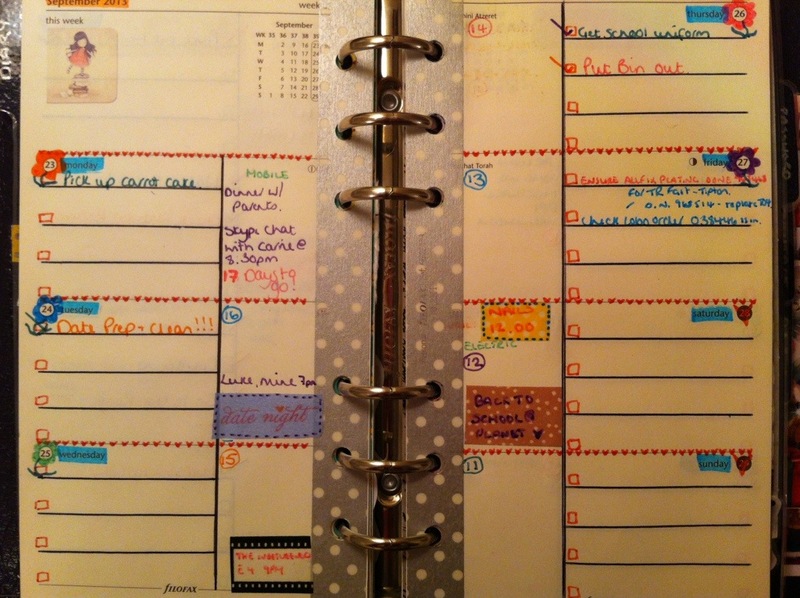 She has always complained at her lack of creativity and how she feels her planner is very “plain”. 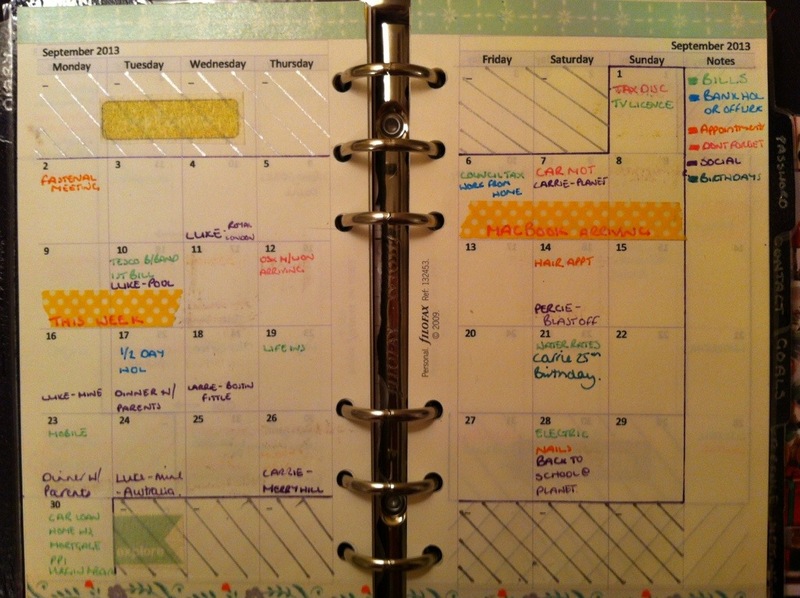 After meeting up with her in the week last week, she wanted to see how I plan my pages out, and I was only too glad to oblige – whipping out my monthly pages and explaining my colour coding system and how it transfers to the “inner section” of my weekly diary pages. She seemed intrigued about the colour coding, so I rushed out to get her some erasable pens pronto for part of her birthday pack that I had been slowly building up for her. I think that was it… I think! Anyway, I saw her this evening to provide her present to her (and to do a shopping spree!). I watched anxiously as she opened her little bundle, but she seemed delighted, especially with the gorjuss items (phew!). 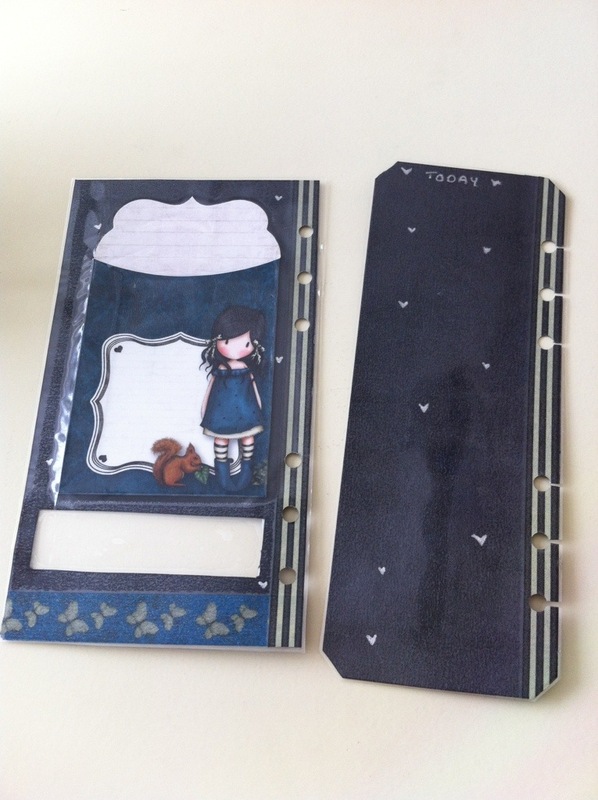 In fact, she was so happy, that she wanted a go at doing her own dividers herself! We ended up shooting up to The Range and purchasing another bumper pack for her to take home and have a go at making her own dividers etc. I had never felt so happy than seeing her creative spirit coming to life around the Arts & Crafts section. 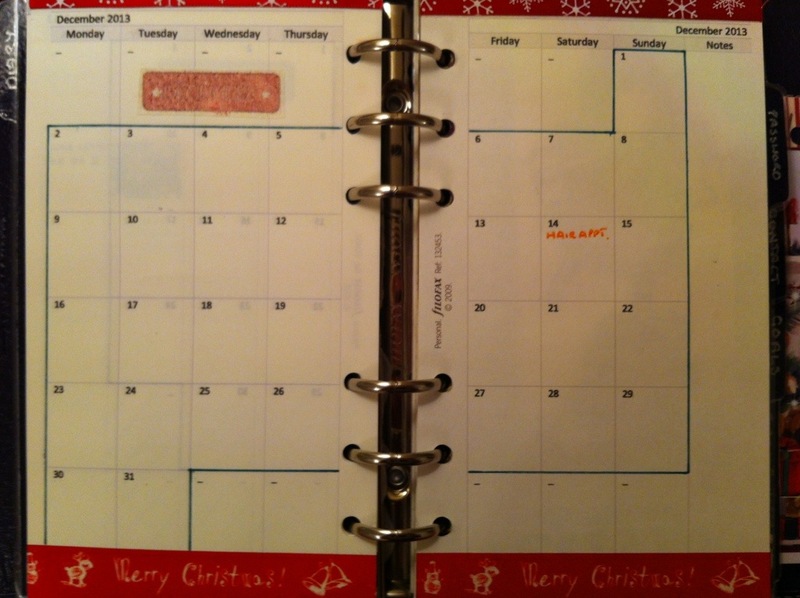 My own little limited creative mind had been squashed for years, and decorating my planner is my outlet. 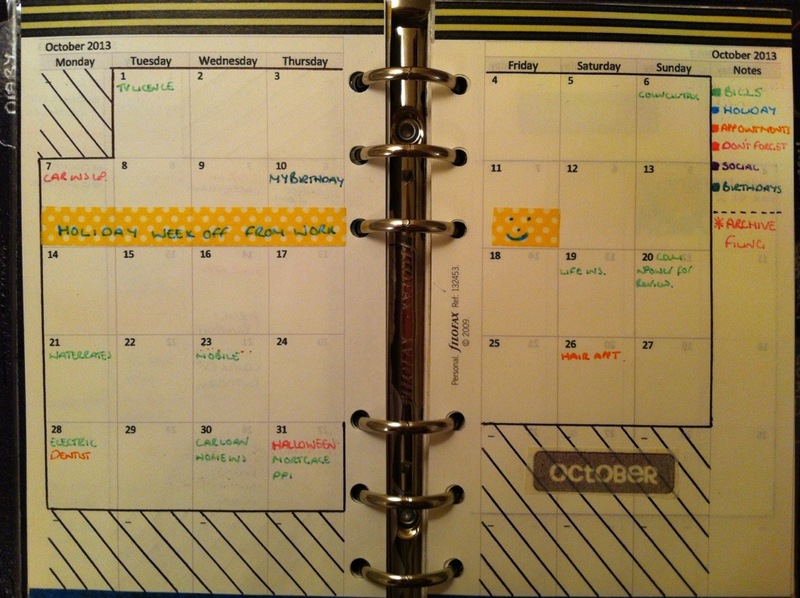 I cannot describe what a thrill comes over me when I open my planner. Smug Satisfaction, call it what you want – but I feel proud of what I have achieved – something that is personal to ME – there will be no other like it. The fact I’ve slaved for 8 hours non-stop over dividers and today markers makes me appreciate my own planner all the more. I think if you haven’t done it yourself you can’t truly begin to imagine the process of creating something from scratch, with little idea of how it will turn out etc. You can’t fully appreciate what someone else has gone through to get that finished product. So my advice to you today is this: Have a go. Just try. You might be surprised!